Two or three times a year Nuclear Valley organises a Members’ Day. The days usually include a tour of an industrial site and presentations on a given theme. 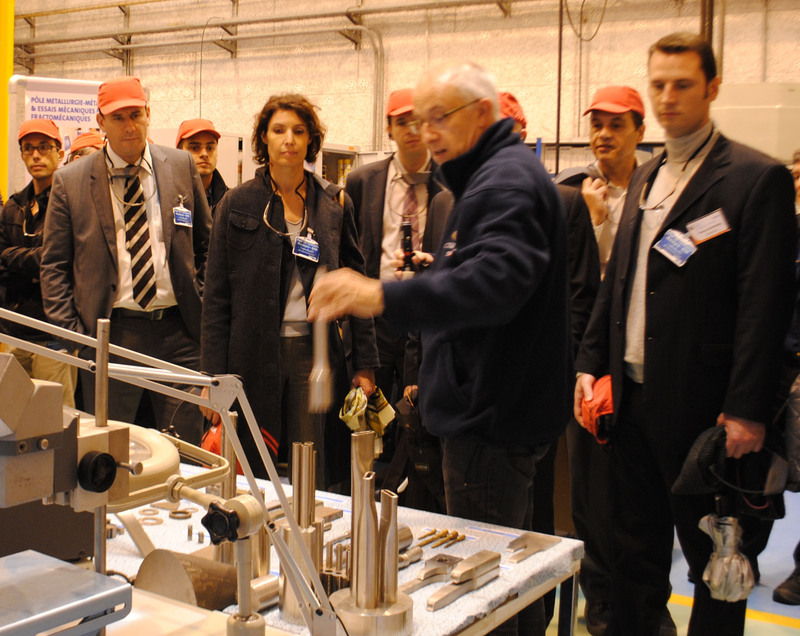 On the 7th November, Nuclear Valley organised the 19th Members’ Day on the DCNS Nantes – Indret site. Nuclear Valley members first of all met for dinner on the 6th, which enabled them to exchange news and information concerning the nuclear sector. On the Thursday morning, the members travelled to the company DCNS located in Indret near Nantes in the Loire-Atlantique area. This site is specialised in the design and integration of nuclear reactors in submarines and surface vessels. During the morning, several top managers of DCNS Nantes-Indret gave presentations of the company’s activities likely to directly interest the representatives of France’s nuclear civil industry. Eric Papin, Directeur Technique Ingénierie et Innovation, first of all provided news about the Barracuda nuclear-powered attack submarine program and the nuclear civil industry. Pierre-Yves Le Boul’ch, Director of CESMAN (Centre d’Etudes des Structures et Matériaux Navals) spoke about R&D and the centres of expertise. Later, François-Xavier Briffod gave a presentation on the Flexblue project, a submerged SMR for which he is responsible for Operations and Institutional Relationships. The PNB used part of the morning for its own news, especially international subjects. Indeed, several countries, such as Russia, are looking to develop partnerships with French structures in order to make progress with nuclear civil export projects. 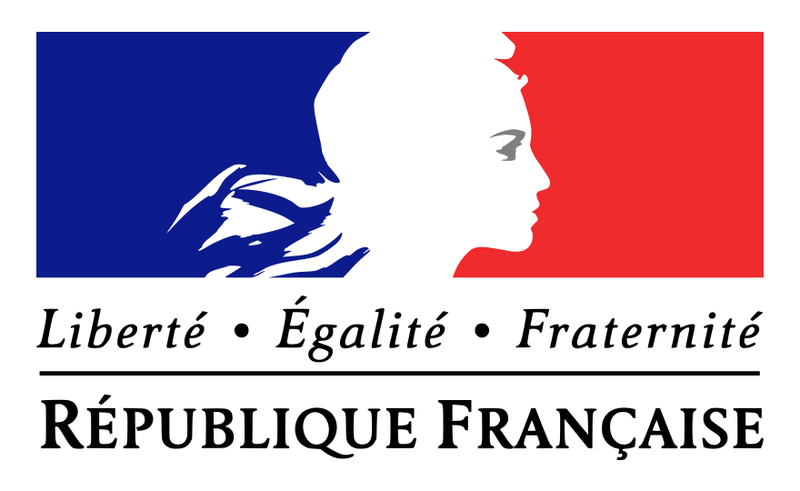 Also, the launch of the WNE (World Nuclear Exhibition), the first international nuclear trade fair in France will be announced on the 12th November. The afternoon was dedicated to visiting the DCNS installations. First of all, the members were able to visit the manufacturing workshops and in particular those areas concerning machining, nuclear assembly and boilermaking. The group then moved on to the CESMAN centre of expertise for materials which is responsible for metallography, mechanical testing, non destructive testing and chemical research. 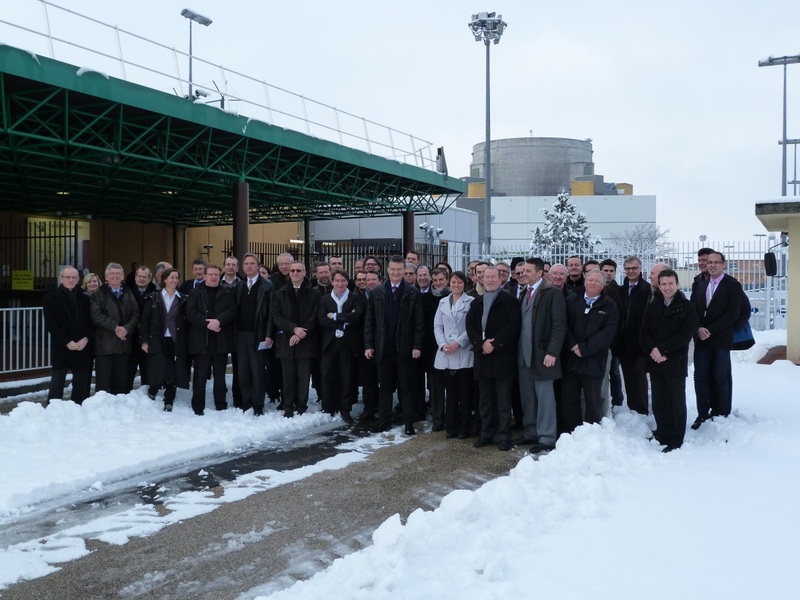 Once more, the day allowed representatives of the French nuclear civil industry to meet and exchange news and points of view while at the same time learning about the installations of one of their colleagues. For its 18th Members’ Day Nuclear Valley organised a trip to the ANDRA site at Soulaines-Dhuys in the Aube department on the 19th and 20th June. The evening of the 19th was an opportunity for the members to catch up on news concerning the cluster, to share opinions on international markets and enjoy a convivial meal whilst holding more business-like discussions. The morning of the following day, the representatives of 50 Nuclear Valley companies attended a series of presentations given by ANDRA concerning the industrial and R&D activities of the Aube sites related to Nuclear Valley’s Strategic Business Units (both existing and planned e.g. CIGEO). The tour of the Aube storage facility in Soulaines-Dhuys allowed them to better comprehend some of the issues facing ANDRA. ANDRA’s R&D is centred on four areas: characterisation and sorting of waste and materials “in situ” (Simulation & Measurement); recycling in the nuclear industry of VLL metallic or concrete waste; future containers and containers optimized for multi-sector use; as well as the treatment of low and intermediate level radioactive waste without a dedicated process, the storage of which can be optimized by prior treatment. Based on these themes, which relate to as many industrial and social challenges, ANDRA plans to launch an invitation for projects – in partnership with ANR – before end 2013. The objective is to finance applied R&D, with industrial implementation in the coming 10 years and to finance R&D projects much higher upstream, with the aim of generating, in the end, situations resulting in technological rupture. Multiple stakeholders will be involved, depending on the objectives: SMEs, producers of radioactive waste and independent R&D facilities on the one hand, the academic community and other concerned stakeholders on the other. The terms of the invitation for projects will, of course, be reported in detail by the PNB – once they have been finalized by ANDRA. The centre is located in the municipality of Soulaines-Dhuys and covers 95 hectares, of which 30 are dedicated to storage. Until the end of 1994, LMLW-SL waste was kept at the Manche storage centre. Drawing on the experience acquired on the site over a quarter of a century, ANDRA has perfected the storage technique including the definition of the multi-barrier system which is composed of the container, the storage structure and the geological context. The waste stored at the CSA is contained in concrete or metallic blocks. The blocks are placed in reinforced concrete structures, 25 meters long by 8 in height, built as and when needed, with a maximum total capacity of 1 million m3. Used storage space is currently at 27% of capacity. Once filled, the structures are sealed with a concrete slab incorporating an impermeable liner. Finally, a covering of clay will be laid over the structures to ensure long term confinement of the waste. Monitoring of the site will last for at least 300 years. The two themes of the 17th Nuclear Valley Members’ Day were: dismantling, and extension of Nuclear Valley to include the Rhône-Alpes region. The PNB delegation was met by Véronique Bouilly, the site manager. Superphénix was the first industrial scale FBR (Fast Breeder Reactor) and the symbol of French knowhow in this field. With a capacity of 1 240 MW, it was operated by EDF for 11 years before being decommissioned in 1998. 2009-2015: treatment of sodium and dismantling of equipment and major components inside the Reactor Building (RB). 2013-2017: dismantling of steam generators outside the RB. 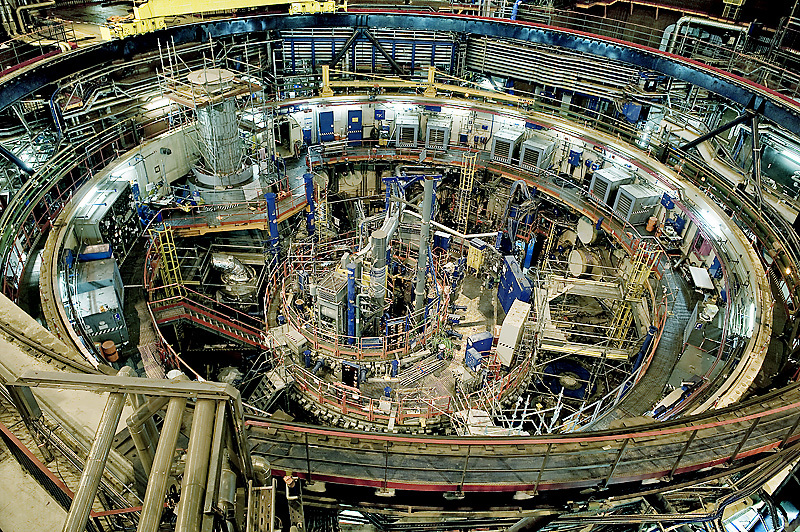 2015-2024: dismantling of the reactor vessel. 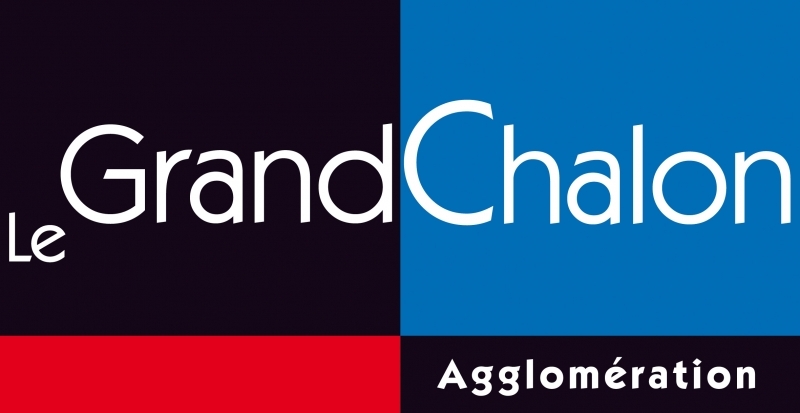 2024-2028: demolition of buildings and grassing over of the site. The deconstruction of Superphénix will produce nearly 518 000 tons of waste. During the presentation, the members were able to appreciate the extent of the works by visiting the reactor building, the sodium treatment installation and the control room. The main deconstruction operations – currently underway – concern the extraction of the primary sodium (nearly completed), most of the major components having already been dismantled (such as the turbine building). The primary sodium, contained in the reactor vessel is maintained at a temperature of 180°C by electric heating elements. It is gradually emptied by an electromagnetic pump. Special draining tools, developed specifically for the site, have been placed inside the reactor vessel. The secondary sodium is stored in a solid state in tanks at the base of each steam generator. It is liquefied so it can be transferred to the sodium chemical treatment installation designed for the treatment of the 5 500 tons of liquid sodium extracted from the vessel and secondary circuits. The hydrolysis process transforms the sodium into sodium hydroxide (a stable compound) at the rate of 5 tons per day. The sodium hydroxide is then mixed with cement to form concrete blocks which are, for the moment, kept on-site. In the afternoon, Alain Ensuque, Director of EDF CIDEN (Centre d’Ingénierie, de Déconstruction et Environnement) gave a presentation on the current status of 9 deconstruction sites (Brennilis; Bugey 1; Chinon A1, A2 and A3; Chooz A; Creys-Malville; St-Laurent A1 and A2) where work is on-going and managed by EDF. On average, 34% of the dismantling work has been completed on these sites. Financing is covered by EDF with provisions of about 1.7 billion euros at end 2012 for the 9 reactors and nearly 20 billion euros at end 2012 for the in-service reactors in France. The CIDEN/SEPTEM procurement team described in detail the qualification process for EDF subcontractors (necessary requirements, skills / trades, selection criteria etc. ), and gave several examples related to dismantling. At the end of the day the snow had stopped falling which gave much improved conditions for the return trip.